I have twins, Charlie and Kadymarie. When I was 26 weeks, I went into labor. Charlie’s water broke, and I didn’t even realize it was happening. Being a first-time mom, I didn’t necessarily know what to expect. I was told I wouldn’t be able to have children and four months later I became pregnant with twins naturally. I had called my doctor at 26 weeks because I was having bad back pain. When I went in, I honestly expected her to come back and say, “This is normal, you are pregnant with twins, you are 26 weeks and they are lying on a nerve in your back.” But then she told me I was dilated and in active labor. They stopped the labor, but then it became a waiting game because I could have gone back into labor at any point. Luckily, we got to stop it and I lasted exactly a month. I was hospitalized the whole time because my son’s water was broken and that becomes risky with infection. I went into active labor at 30 weeks and they were born the next day. Once the babies came, the biggest issue was being near my kids, as I knew they would be in the NICU for a period of time. The doctor told me that I needed to get in Ronald McDonald House because I lived an hour away, and my husband had to go to work. Plus we only have one car. 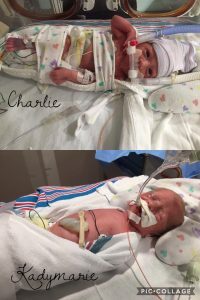 My son was in the NICU for 37 days and my daughter was there for 43, and unfortunately, they did not come home together. That was worse than leaving the hospital with neither. My whole mind was “they have each other.” That is what got me through it—no one was home and at least we had each other. I had heard about RMHC, but I didn’t know much about it. I wasn’t expecting the house to be as big as it was. It was very homey, comforting and everyone was very nice. When I got there, the house manager, Bonnie, told me they don’t put TVs in the individual rooms because it keeps people closed off. Having the TV in the common room makes them come out of their room, socialize and talk about what’s going on with people who understand. Bonnie and I ended up becoming friends with a few of the women there, and we keep in touch now. You don’t ever expect to be in a NICU until you’re there. The RMHC staff is wonderful for the support—they always talk to you and ask how you are, and how your kids are. They wanted to see pictures, they want to know how everything’s going. The volunteers who came in with dinner or breakfast also were great. There’s a lot of caring. You don’t feel so alone. I was alone the whole time, really, because my husband worked. The only people I had were strangers. You kind of learn the meaning of depending on strangers. The true kindness of strangers. There’s a lot of love at Ronald McDonald House, and it’s from strangers. It blows your mind. It’s people who don’t know you, but they welcome you with open arms. The house is so open and you feel so welcome. There’s such understanding when most people don’t understand. It’s a wonderful thing to be able to talk, and you know they are there for your children. 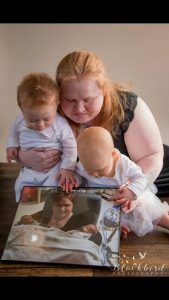 Ronald McDonald House gave me the ability to be there for my kids. I was there, every day all day, and I had that security that if something happened I was two minutes away. There was a day when my daughter stopped breathing 25 times, and I could be there with just a moment’s notice. The Ronald McDonald House allowed me to be there, I don’t know how I would have been there any other way. I didn’t have to worry about food, I didn’t have to worry about where I would take a shower–it’s those simple things you don’t think about until you are in the situation. I had nothing to focus on but the babies. Today, my son is tiny for his age, but other than that he’s a typical 15-month-old baby. My daughter has some lung issues and she’s considered “failure to thrive” because of her weight, but she’s anything but. I was told by the doctor that she would be delayed, but she has absolutely no delay. She is a spitfire. I will never be able to pay back the things RMHC did for me. 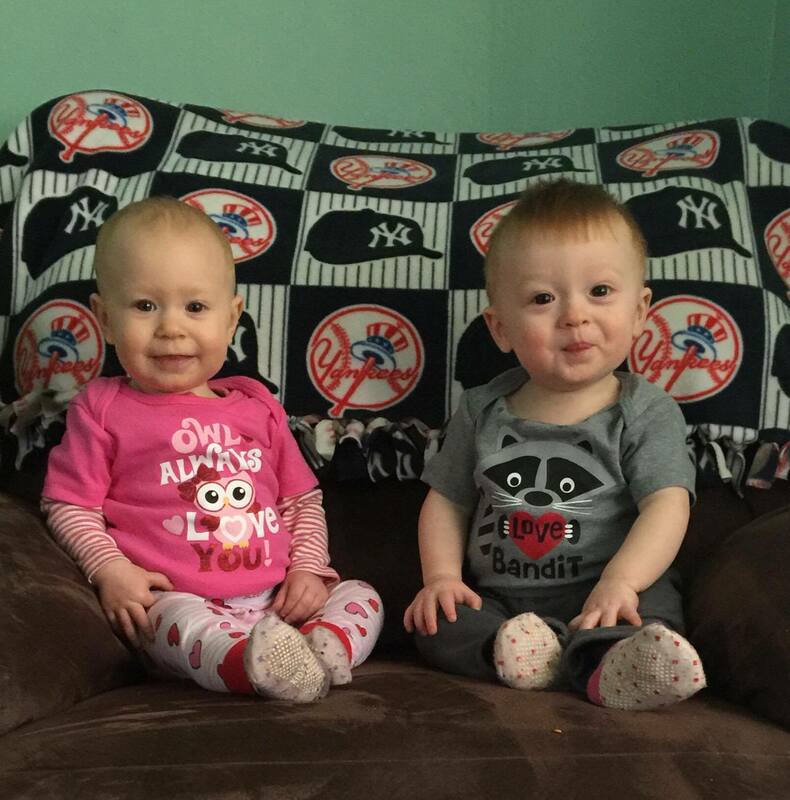 The babies are going to be 15 months, but still, it stays with you. It’s not something that goes away. On my children’s due date, I had asked my friends and family to help me make preemie hats to donate. I ended up getting hats from all over the United States and Canada to donated to RMHC.